My.ComMetrics is a software-as-a-service (SaaS) application, which means you do not need to install anything on your end. We host and operate the application over the Internet for your use, so you can access our software virtually as and when you need it to track your blog’s performance. It’s a blog-eat-blog world; start using the same benchmarking tool several prominent blogging websites do to generate targeted traffic that helps customer relationship management. Thanks for signing up and preparing to benchmark your blog against the competition. 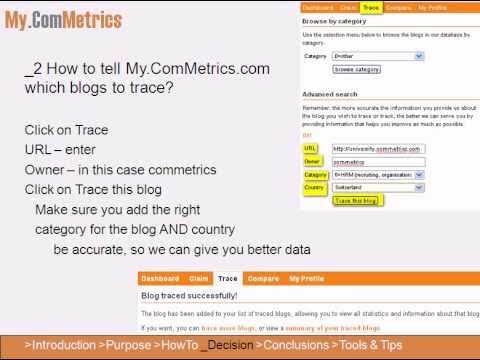 This short video will have you tracking your competitors’ blog(s)’ performance in no time. Signing up for My.ComMetrics is the safe choice, because it’s free to try as a freemium user and see how much you’ll love it. Why not take us for a test drive? Benefit from our tool as some of your competitors have already done. If you prefer, you can read more about tracing competing blogs here. 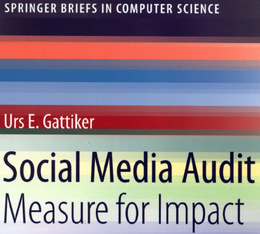 There is no perfect method for ranking social media except trial and error, along with an understanding that perfection is impossible and ‘good enough’ is the best we can possibly expect in the real world. What is your take, how is it working for you? Please share your thoughts with a comment below!